December, 2016What is Laser Scanning? Laser scanning is the use of lasers to capture 3D spatial data in the form of a point cloud. The use of laser scanning reduces data collection errors and the need to revisit a site due to missed detail. Primarily, it is used to develop 3D scans (or models) of building elevations, floor plans, tunnel profiling and motorway/ rail bridges as well as mapping topography. 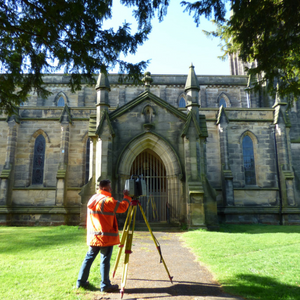 Laser scanning is effective on sites where very detailed 3D measurements need to be recorded and accurate models created, or where access is difficult. Laser scanners capture many points at varying distances and once processed the scans can be used in a variety of 2D & 3D software. There are three types of laser scanners; Phase Shift, Time of Flight & Triangulation. Whilst these scanners send out laser pulses they record the return signal differently. Determines the distance to the object by the phase shift between the outgoing and returning signal (i.e. calculating the “shift” or “displacement” of the reflective wave compared to the outgoing wave). This scanner is faster and more accurate than a time of flight and can scan distances up to 300m. The phase shift laser scanner is more versatile than the time of flight scanner and is used on a range of cultural heritage, archaeology, architecture and civil engineering projects. Calculates the distance to the object based on the time taken for the signal to return. Time of flight is slower than the phase shift scanner but can scan longer distances (up to 2km). Generally, a time of flight scanner will only be used on a project where the distance is too great for the phase shift laser scanner. For example, to measure caves, mines or tunnels. Triangulation is used for short range scans (0.5-2m) and collects data to micron level accuracy. Triangulation is typically used to scan the detailed features of an object. Once scanning is completed, multiple laser scans are overlaid and positioned so each is registered into a single point cloud model. Every registered point is accompanied by an intensity value (or colour value). This value is based on the strength of the reflected (returning) signal back to the scanner and produces the bright coloured visuals that laser scans are known for. These visuals can be enhanced further by applying true colour 360-degree colour photography to the point cloud, giving each point its own RGB value to generate a realistic appearance. 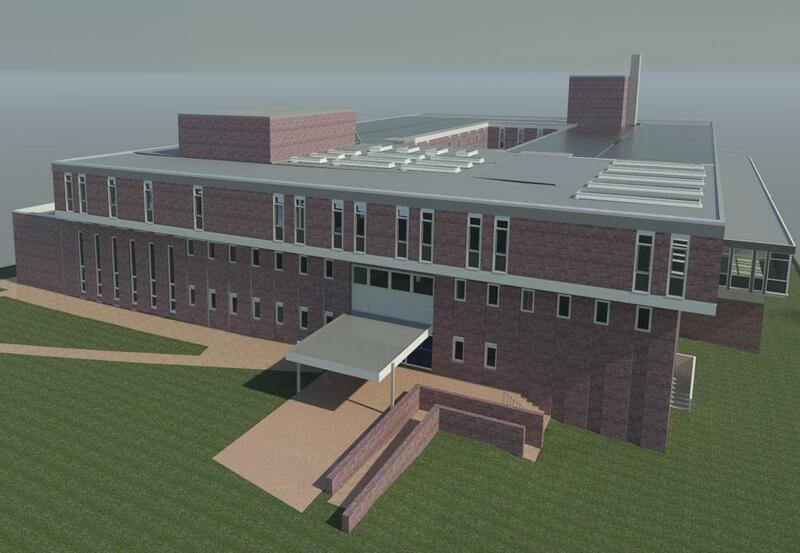 Point clouds can be incorporated into the design process by importing the completed scan into a variety of 3D software packages such as Revit. These aid the design process providing a reference for existing features within a project or as the working model for redesign work on existing buildings or structures. 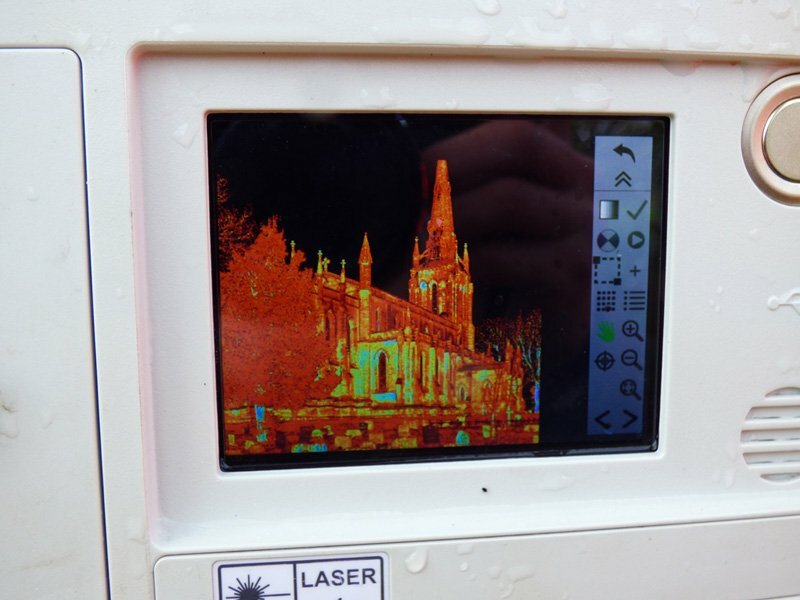 Whilst utilising laser scans as part of the 3D modelling process enables more precise modelling, there are some key points to note before converting your laser scan into a 3D model. Depending on the scale and complexity of the 3D model, costs can be high. Ensure you understand how you will use the model to advance your project and that you have the in-house capabilities to manipulate and analyse the model so the benefits outweigh the costs. Laser scanning is an effective starting point to create accurate measured drawings or 3D models. Click here for more information about a Measured Building Survey. 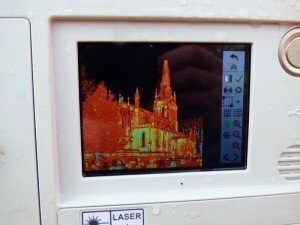 Comments Off on What is Laser Scanning?